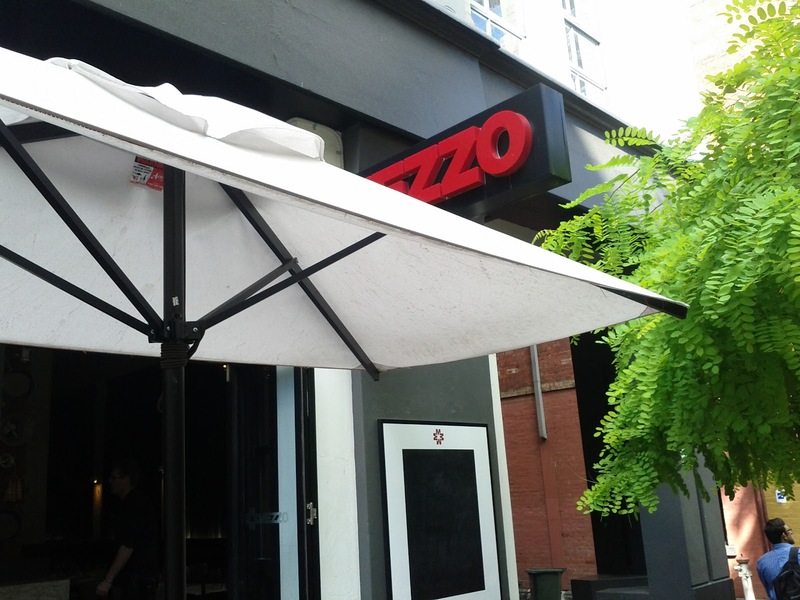 With its doors flung open on a sunny autumn day and the high ceilings Mezzo felt a lot more bright and airy than many of the restaurants that dot the length of Little Bourke Street. I went with a group of work colleagues. 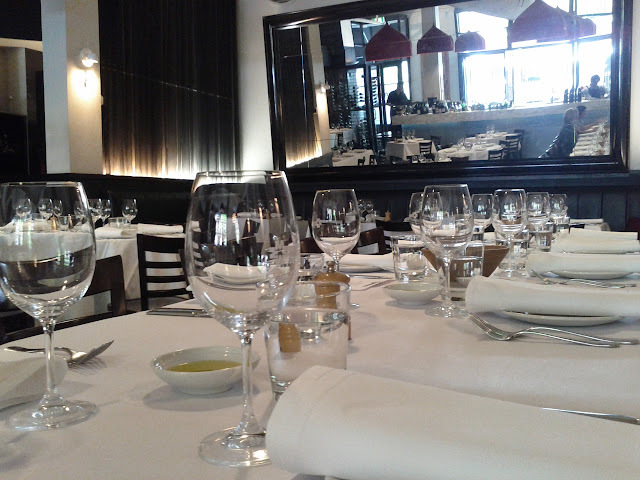 Inside it was fairly swish, with white table cloths in a modern fit out. 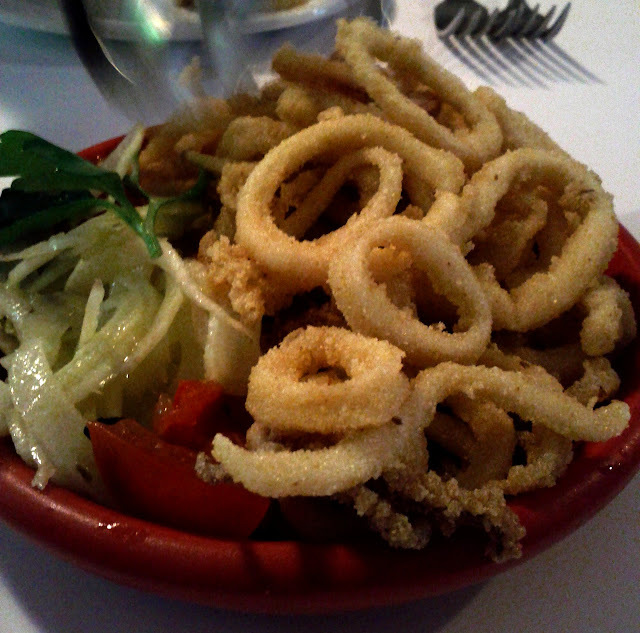 We shared some stuzzichini start, the semolina dusted calamari came with a fennel and tomato which worked well together, with a good mix of flavours and textures. 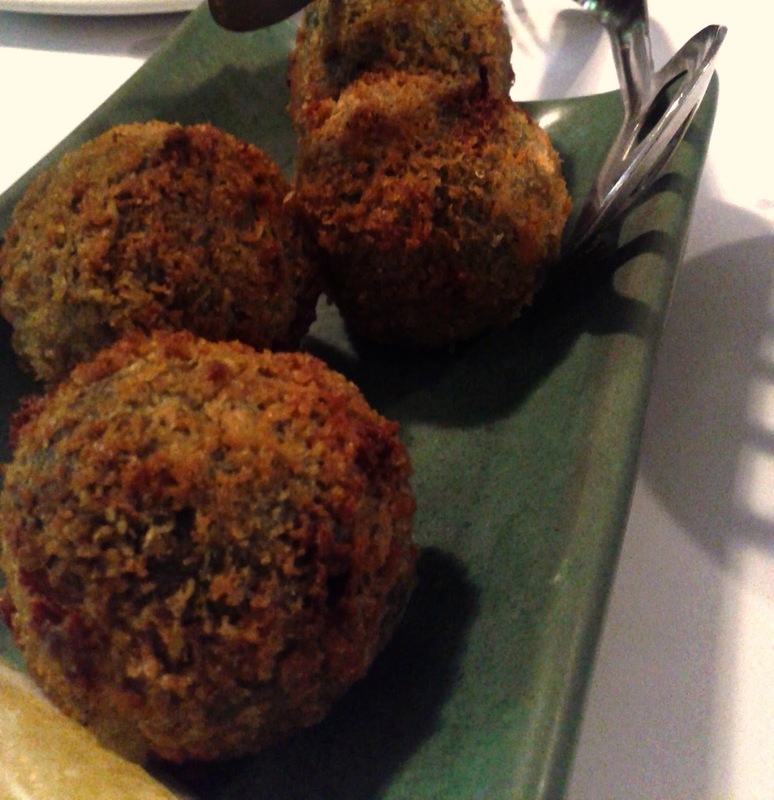 The arancini were green inside, being stuffed with spinach caciocavallo cheese and a little chilli,and were surprisingly light a pleasant change from the heavy creamy cheesey flavours that often dominate. 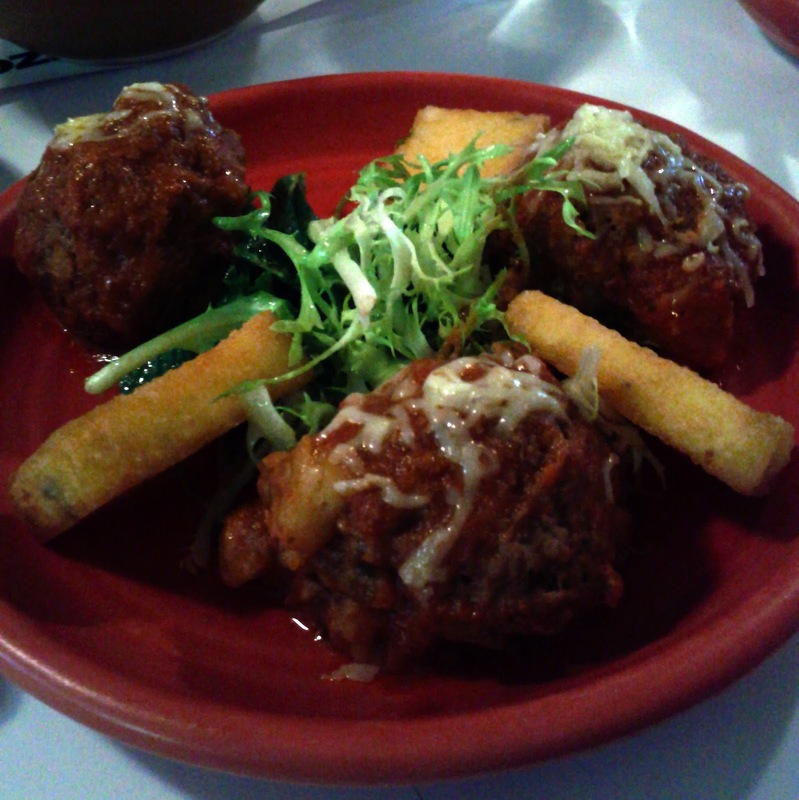 The sher wagyu meetballs were incredibly tender, and tasty, only my limited meat intake stopped me from going back for more! 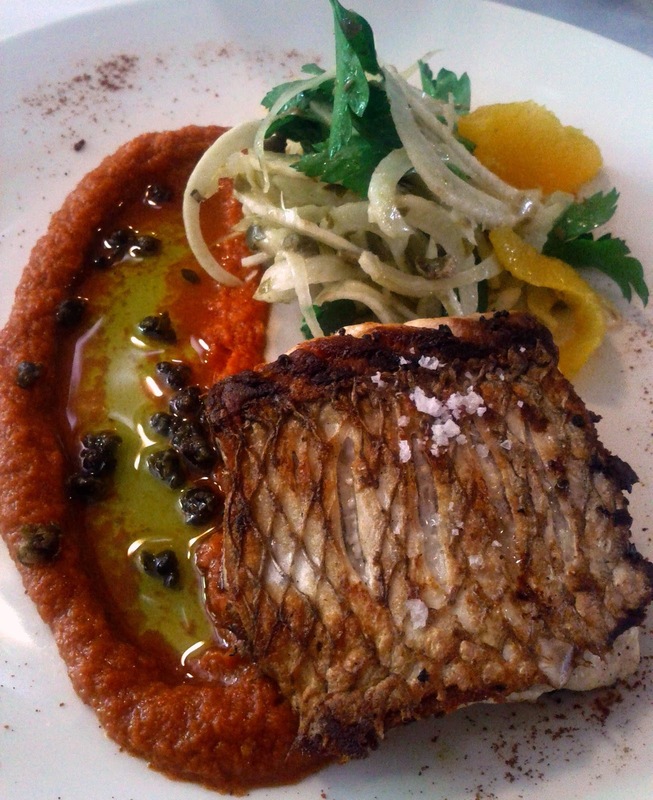 For my main I chose the panfried snapper which was perfectly cooked with crispy skin and moist flesh, and came with a fennel and orange and mint salad, which I wasn't sure about when I read about it on the menu, but worked well on the plate, and some great red pesto. 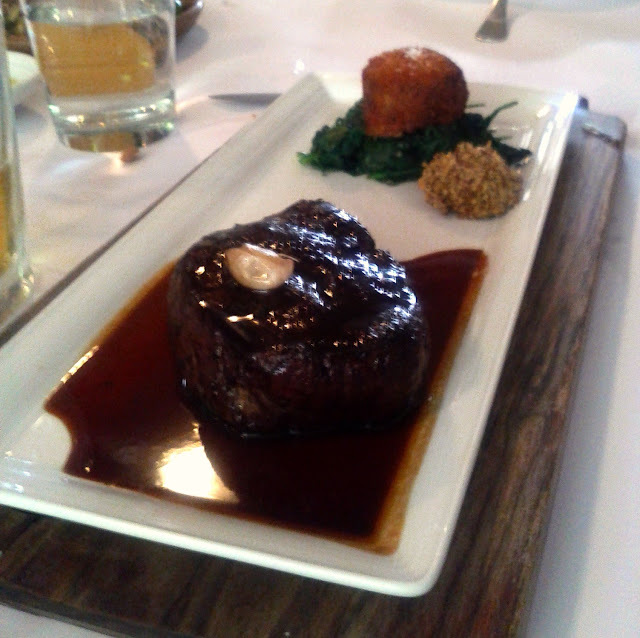 The 220g dry aged angus fillet came with sauted spinach and oxtail galette was a popular choice and certainly looked good and seemed to be enjoyed by the recipients. I was happy to have chosen the snapper over the swordfish which came in a broth and apparently didn't work that well. The service was good and I enjoyed my visit. Its not the kind of place I normally choose to go to myself, but if I was looking for an Italian style meal with a bit of a different twist, I'd think about it. Mains were in the $25-43 range.